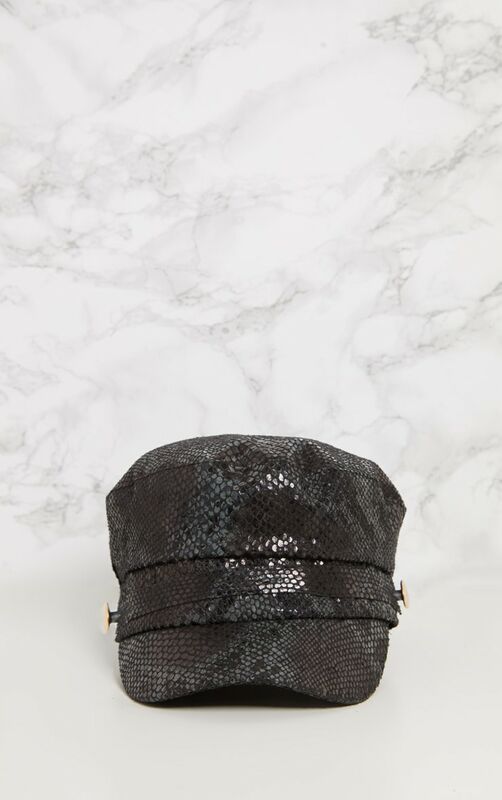 We are loving baker boy hats this season girl. 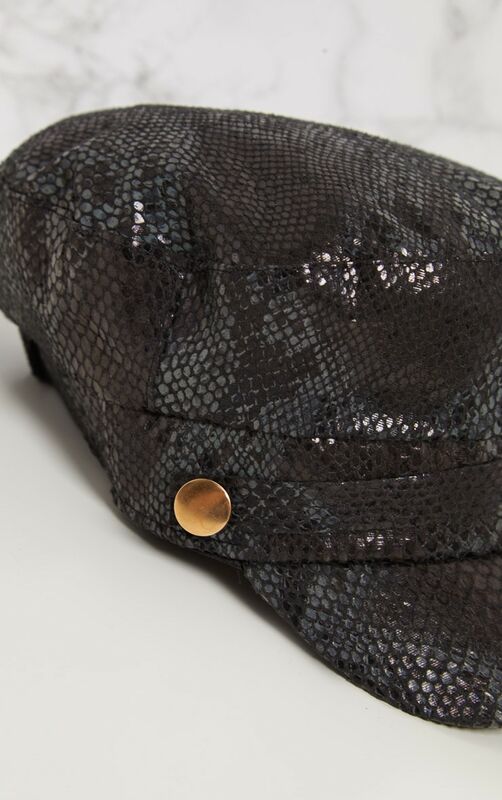 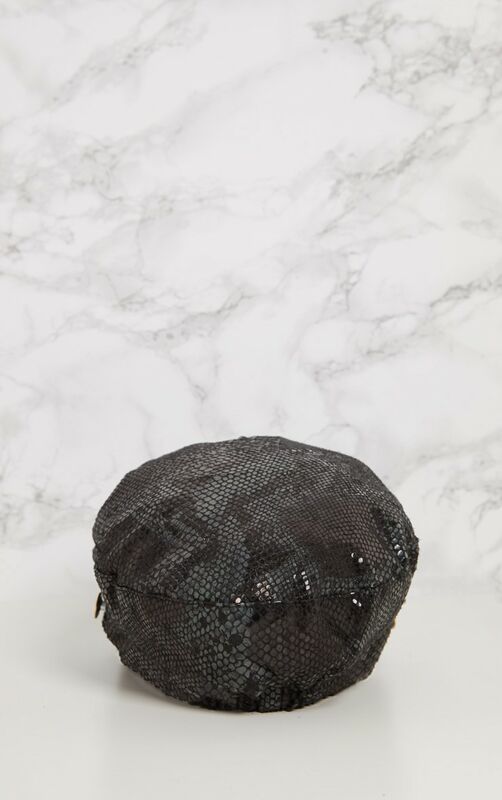 Featuring a black snake print design and a gold button detail. 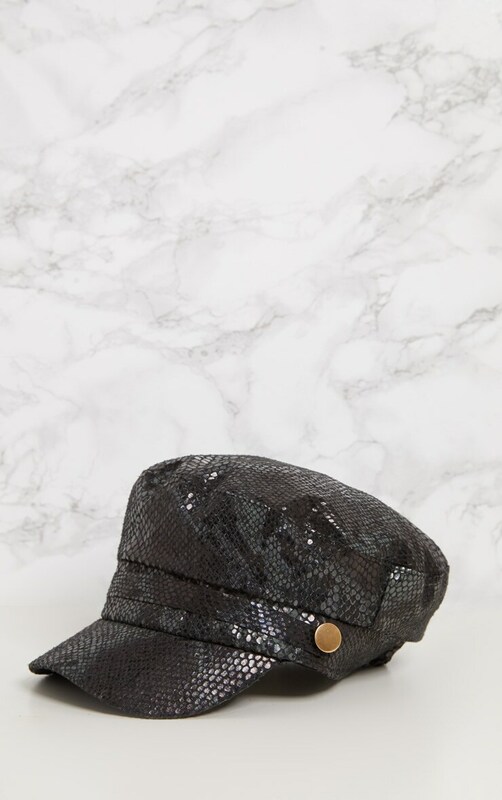 Elevate your off-duty look and style this hat with any outfit.